What to choose: acid vs alkaline cleaner? Q: What are the differences between an acid vs alkaline cleaner? A: There are some key difference in choosing the right cleaner for your cleaning needs; the ph of a detergent is one dividing line. Acidic cleaners are commonly used to brighten or etch metals and are effective at removing any mineral deposits or oxidation on surfaces. Generally, acidic cleaners are also ideal for removing any starches, carbonates, and insoluble hydroxides. 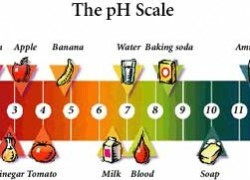 Since most soils are acidic, alkaline cleaners are very effective. Alkaline cleaners remove oils, fats, greases, proteins and an array of other soils. Most cleaning applications will involve an alkaline cleaner or a combination of an alkaline cleaner and an acidic cleaner. Alconox, Inc. offers acidic and alkaline cleaners for pharmaceutical, medical device, manufacturing and various other industries. For information on all Alconox Inc. brands, visit alconox.com or browse through our Critical Cleaning Guide. ← How Long for Residue Free Ultrasonic Cleaning?